How can smaller financial institutions effectively innovate in payments? 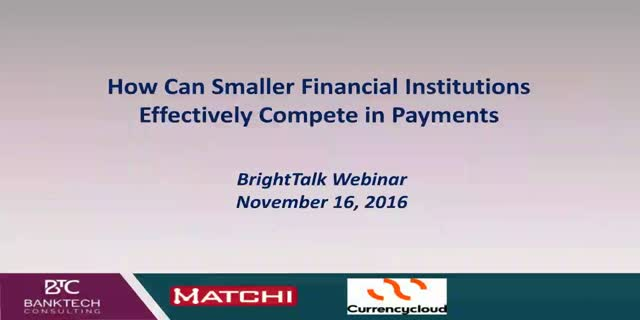 It is particularly challenging for a smaller bank to compete in payment services with larger banks. For example most cannot offer cross-currency or P2P payments. A good innovation strategy will help to nail down what the bank needs to be able to offer, to find the right FinTech partners, and to integrate their solutions. Title: How can smaller financial institutions effectively innovate in payments?